Here's your chance to take advantage of some overstock from our recent show. 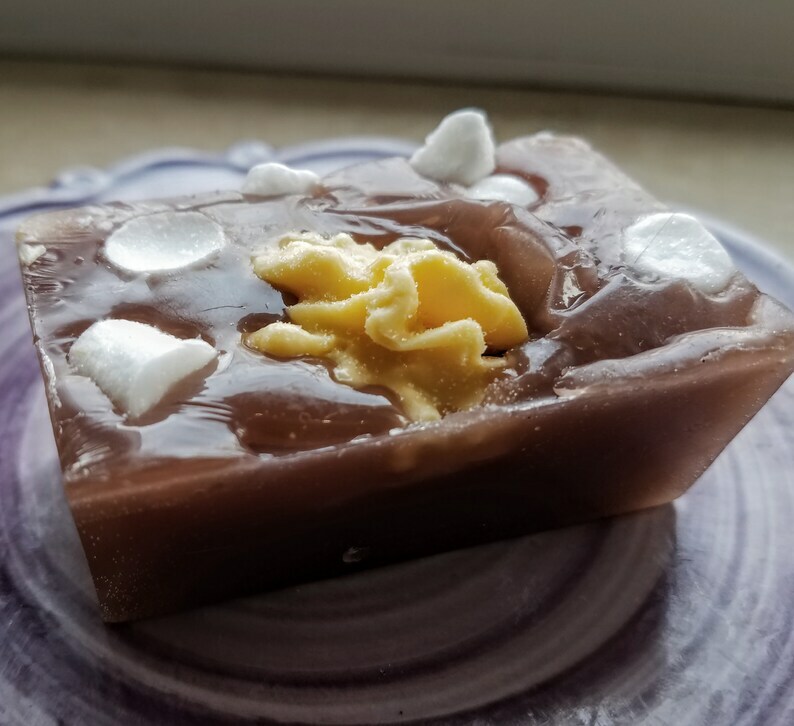 Deliciously mouth-watering and realistic Rocky Road Fudge - chocolate layered with marshmallow and walnut halves...all soap, of course. These make great party favors and stocking stuffers - our overstock is your way to take advantage of a great deal. You can still take advantage of combined shipping with multiple purchases, too. Each slice weighs approximately 4 ounces. These items are premade and therefore cannot be customized. If you are interested in customization, our other listing can be found in our shop.